Last week, I was invited to the product launch of Burt's Bees Daisy White skin care range. 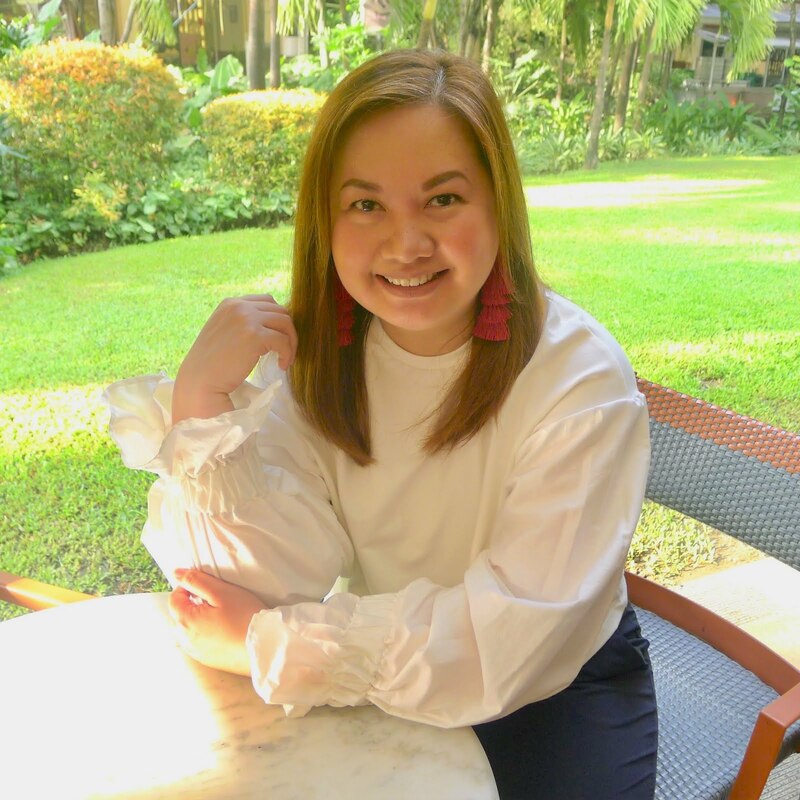 It was a blogger-exclusive event, a first by the brand in the Philippines and was held at The Fort's newest chic French restaurant, Le Jardin Cuisine de Gils of Trois Gourmands (Le Jardin for short) at the W Fifth Bldg. 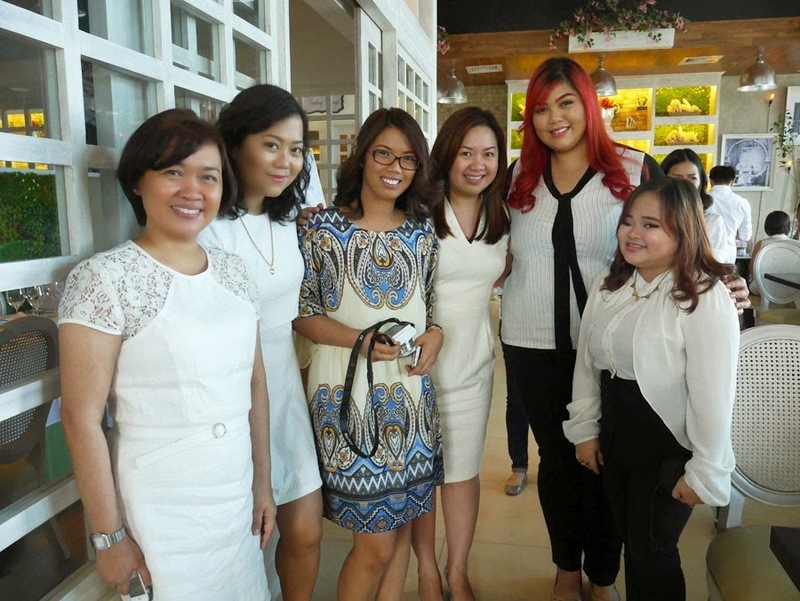 In the midst of friends (both old and new) at the Burt's Bees launch (from left to right): Marites Dagdag, President of Burt's Bees Philippines, Liz Lanuzo, PR Consultant for Burt's Bee's Philippines and of Project Vanity, Celline Reyes of Product Arena, Me, Bing Castro of The Project Awesome and Yette Cruz of Yettezkie's Doodles. 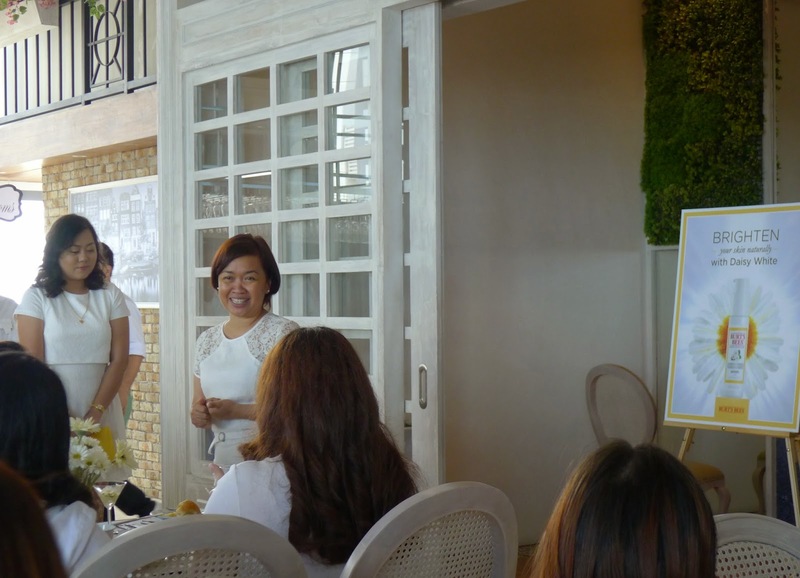 A glimpse of the menu at Burt's Bees Daisy White Collection launch. Tables were decked with Burt's Bees Daisy White Collection for everyone to see, feel and test. We made white daisy flower crowns and had a fun photo shoot followed with top photographer, Shaira Luna. We had a brief overview of Burt's Bees History: In the summer of '84, Roxanne Quimby, an artist from Maine was trying to hitch for a ride home. Burt Shavitz, a local known for his popular roadside honey stand, was traversing the same road she was on, saw Roxanne, and gave her a ride home. They instantly hit it off and before long, Roxanne was making candles out of Burt's unused wax from the beehives. They made $200 on their first craft fair and the rest, as they say, is history. From the first candles made out of beeswax to the Burt's Bees lip balm we all know and love today, Burt's Bees has remained true to the belief that what you put on your body must be made out of the best that nature has to offer. 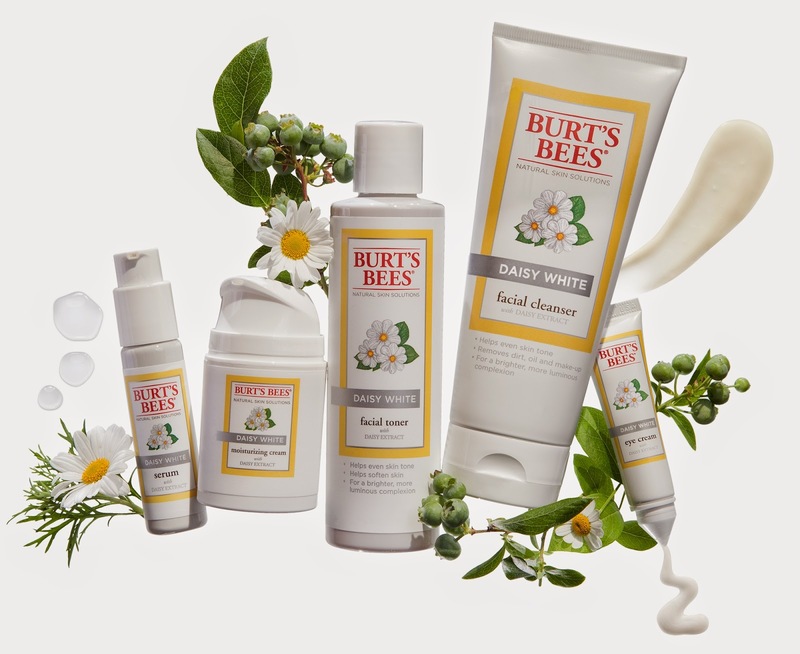 Burt's Bees newly launched Daisy White Collection combines Daisy White extract (nature's solution to actively reduce melanin production) and other natural ingredients (such as Summer Snowflake, Tonka Bean Bioferment, Pearl Powder, Indian Gooseberry, Alpine Plant Complex and Multi-Fruit Complex) that help brighten and even out skin tone. It's the perfect natural solution for creating the look of translucent skin. All in just 4 weeks of consistent use. Burt's Bees Daisy White Collection (from left to right): Daisy White serum - Php1650/30g, Daisy White moisturizing cream - Php1650/10g, Daisy White facial toner - Php795/170g, Daisy white facial cleanser - Php795/170g, Daisy White eye cream - Php1650/10g. Thank you Burt's Bees for this awesome beauty case filled with Burt's Bees products! Burt's Bees facial cleanser - I love the rich creamy texture of this facial cleanser and a small amount really goes a long way. It has a light citrus scent and cleans very well without drying my skin. I noticed that my skin has improved after a week's use and it can effectively remove make-up too. Burt's Bees facial toner - The facial toner also has a light citrus scent and gets rid of the last traces of make-up or impurities on my face. It is not drying unlike many facial toners in the market today. Burt's Bees moisturizing cream - I love the hygienic packaging of this moisturizing cream. I only use about half a pump for my face, which means this 50g bottle will last a long time. It has a light citrus scent and is quickly absorbed by the skin. I also noticed that it makes my make-up last longer throughout the day. The cream smells good, sinks in very quickly, and makes my makeup last longer throughout the day. The Burt's Bees Daisy White skin care line works well for me. It's my first time to use a brightening line and I am pleased that it does deliver what it has promised - It has improved my skin's condition and I love that my skin became brighter, softer and luminous. Ladies, get beautiful the natural way! Burt's Bees products are available at Beauty Bar stores nationwide. Get updates on the brand on Facebook at BurtsBeesPH and on Instagram and Twitter @burtsbeesph.